At East Valley Implant & Periodontal Center we want to accommodate your busy schedule as best as we can. To save you time we have adopted a number of excellent procedures that allow us to accomplish what would take other practices months, in only an hour. Teeth-in-an-Hour™ is a perfect example of a procedure that saves you time and money, and allows us to get you back to your normal life quickly. This treatment process was designed by Nobel Biocare and is an answer to the often extremely lengthy process of receiving Dental Implants. From start to finish the process can easily take anywhere from 3 months to a year for normal dental implants to take the place of your natural teeth. The surgery is designed to be accomplished in the span of an hour. That is, you will walk out of our office with new, fully functioning dental implants after an hour long surgery! There is a very important preparation phase that precedes the surgery and can take anywhere from 2 to 4 weeks. As mentioned above, the key to this procedure is preparation. 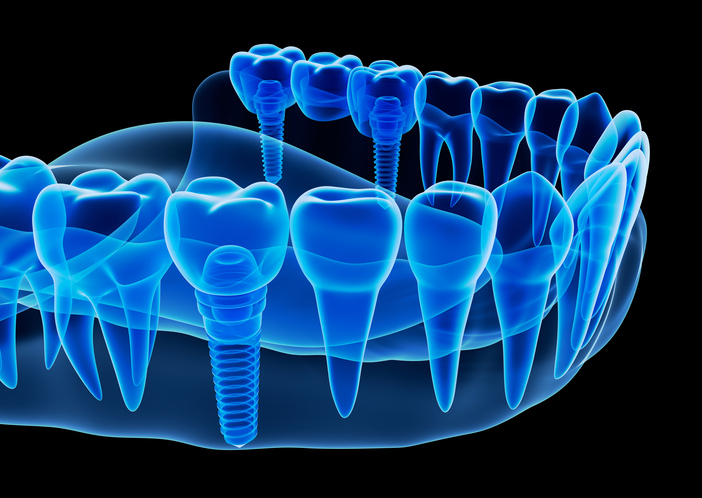 We formulate extremely precise plans for dental implant placement using digital X-ray technology. 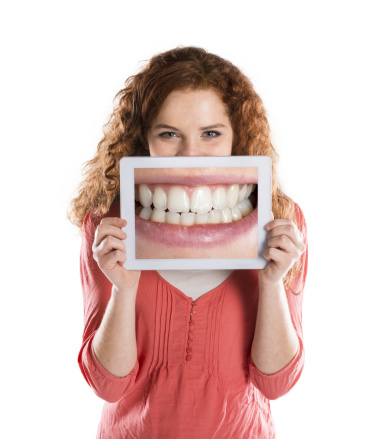 We will take detailed 3-d images of your mouth in order to formulate an implant placement plan that allows us to work quickly while allowing enough precision that your implant will be viable immediately after the procedure. We will assess the bone structure and map out the areas in your jaw that are sturdiest. The implants will fit precisely into the surgical sites that we prepare in order to reduce healing time and allow for immediate placement of the restorative crowns. We can use this procedure to replace a single tooth, multiple successive teeth, or even a full arch worth of teeth. There are quite a few advantages that Teeth-in-an-Hour™ provides the patient. For starters it reduces a process that can take many months into a one-hour procedure. Using this procedure allows us to avoid incisions in the gums and thus you don’t require sutures or follow up appointment to have sutures removed. Because there is no sutures and no incisions discomfort after the procedure is limited. This process allows us to tailor teeth that are perfectly fit to your bite while still looking and feeling totally natural in your mouth. You can even eat after this procedure is done. In order to be a candidate for Teeth-in-an-Hour™ you must meet certain criteria, otherwise the procedure may not be successful. We will never allow a patient to go through with a procedure that we aren’t sure will work. As professionals in our field, your health is of the utmost importance to us. In order to be a good candidate for Teeth-in-an-Hour™ you will need a healthy jawbone and sufficient, healthy bones structure in your jaw. If bone grafts or tooth extractions are required before surgery, Teeth-in-an-Hour™ is not something that you will qualify for. Please call us today at (480) 376-2848 to schedule your appointment.